Redjack ... I kind of see what you are saying, but I can't say it really makes a great deal of sense to me. How is the original timeline not extinguished if that matter and energy that was used to "create" that future timeline is NOW (in the present) diverted to create a NEW timeline. One cannot use the same matter and energy to create two different timelines. I imagine the REAL scientific answer is that time travel INTO THE PAST is impossible, which is why we are confronted with these strange explanations and paradoxes when we pretend that it can take place. However, buying into your premise for a moment, and if we view time as something fluid that can flow backward as well as forward, and if we assume the existence of free will ... then might not that imply an infinite number of timelines. Every time a choice can be made, a person can decide X or Y. In one timeline he choses X. However, looking back and moving to that point again, from the perspective of one not bound by time, he could have chosen Y, and perhaps in an alternative timeline did, since he did have the freedom to chose either one. Thus resulting in an infinite number of parallel temporal universes ...? We say that it is "choice" but the Many Worlds model also applies to random events such as two asteroids smacking into each other. It's easier if you look at it like this. Every time line moves from then to now to the future in what we perceive as linear motion. Setting aside questions of faith, for purposes of this discussion, accept that the Big Bang started all this. There is a finite amount of energy/matter in the universe and all of it is being used. Once used it's still there (energy can't be destroyed, only reoriented) but it can't be accessed. That's why time travel to the past is, in practical terms, impossible because, once we've used that energy (or those moments) they become unavailable. The future is fog. The present is a burning match. The past is a road made of the ashes. This is the Second Law which says Entropy (or decay or chaos) must increase to maximum. Bringing in organisms and the ability to make "choices" doesn't really change anything. At any moment I could stand up from the computer and do any number of things. Or I could stay here all night. or the chemicals in my body could stop working in tandem and cause me to explode. All these things and an infinite number of others are always possible. Everything in the universe exists in a partially undetermined state, including all of us. This flux exists at every moment. By choosing, ANY choice, you are forcing reality into a fixed pattern. which we can call "geoff gets up and walks to the kitchen." But, as long as I do nothing, ALL potential actions are equally likely. Many Worlds Theory says the universe or, multiverse for us Comics' geeks, is a massive continuum of possibilites, all undetermined and all existing simultaneously. IF a person could somehow move back into the past (theoretically possible as objects approaching relativistic speeds create a space/time dilation) and somehow make another choice, paradox prevents the erasure of the first line. You can't travel back in time to prevent yourself from building the device that allows you to travel back in time to prevent yourself from building the device that allows you to travel back in time and so on. 1) Something would prevent you from killing Hitler as a boy. Hitler didn't die as a child. So, should you get there, whatever action you take in the past has already occurred and been included. 2) rather than erasing your original timeline (not possible because you came from there) you force one of the infinite possible timelines to become actual for you moving forward in the new line with new events spinning off of whatever "change" you made. The old timeline would simply go on without you from the point where you "went back in time." And, of course, you would never be able to get "home." All you could do is travel back in time and create another new line. So you reject the notion of multiple temporal universes existing "simultaneously" based infinite possible choices and/or infinite possible chance events, unbounded by linear time? Geoff, I've got solid proof that you are wrong: The Butterfly Effect! (Hahahahaha -- that was a joke) I understand what you are saying. Though I think what I decribed above is what movies of that sort are kinda premised on. I believe the real answer is that time travel backwards is impossible even under the Theory of Relativity (though I don't pretend to be Einstein, haha). Time Dilation, as I kinda understand it, is that as one approaches the speed of light time slows down. So that someone leaving earth at close to the speed of light and coming back would age minutes while everyone here on earth would (relative to the person in space) age years -- two different "time streams" so to speak. But neither of those "time streams" are going backwards. One is just going "faster" relative to the other, but both are still moving in a forward direction. So the guy who aged only minutes will feel as though he "traveled" through time -- but only forward. But again, as I said above, my comments come with the caveat that I'm no Einstein. 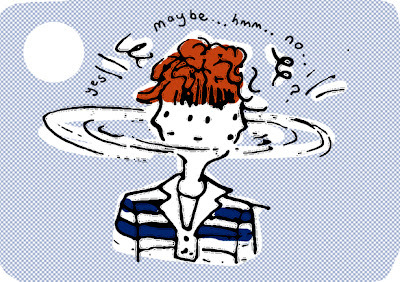 The Theory of Relativity also makes my head spin. Has any physicist you are aware of actually posited that time travel backwards is a theoretical possibility? If anyone would have heard of it, my bet is it would be you. If, when approaching C (that's lightspeed in case someone lurking doesn't know), time "slows down" for the person in motion, if follows that, if they could surpass C, time would move "backwards" for that person. The linear nature of time is simply how we experience it- as decay or increasing entropy. That experience is not accurate for describing how the universe actually works. It's more like a continuum. For instance. Tachyons are massless particles that move "backward" in space/time. As all "matter" is composed of particles in a more organized collected form, it follows that any object composed of or sufficiently surrounded by tachyons could also move "backwards." Whether an organism could survive the trip is a big question. But, presuming they could, paradox would prevent any alteration of the original line, even if you handed off uzis and grenades to the native Americans so they could greet the Pilgrims properly. Yes, all the other lines exist simultaneously but we can't access them. From our POV they are only potentialities just as, from theirs, we are. A time traveller would either be creating an entirely new line simply by appearing in the past or they would be injecting themselves into an existing alternative line where some event, previously unknown, would have occurred causing the split. Their arrival being predestined to cause that event. And, no, I don't believe in "free will" as you mean it. I think all this is the result of the ongoing explosion we call the Big Bang and it's just the activities of particles bouncing around. It feels like free will but, really, it's just an illusion. It's a version of Determinism. But, presuming they could, paradox would prevent any alteration of the original line, even if you handed off uzis and grenades to the native Americans so they could greet the Pilgrims properly. Geoff, this stuff is wild. It is hard, being a Newtonian living in an Einsteinian universe (haha). Can't say I understand how Tachyons move "backward" in space/time, but I'll hop on and enjoy the ride. As far as exceeding the speed of light ... well, I guess Sci-Fi like Star Trek is based on assuming that is possible, and once one assume that, one can assume anything. So long as the writers create an internally consistent model (effects flowing logically from assumed premises) ... I've no problem with that. Movies drive me nuts when things come out of left field that just "don't make sense" in the context of the film's assumptions. Star Trek did not suffer from that flaw. The whole storyline hung together really quite well ... and was a lot of fun. I'm curious to see where it goes from here. I'm no physicist. I just get a kick out of this stuff. Some people can rebuild their car engines. The thing about Newtonian physics is that they work. They fit how we interact with the world so they're the easiest to swallow. Einsteinian physics are a little more work but even they fit into the realm of what most of us are willing to waste time wrapping our brains around. Describing the "motion" of top and bottom quarks or their relative "spin" and "taste" takes better math skills than I'll ever have. I can grasp the conclusions but a good deal of how they're arrived at leaves me far behind. It's why I write scifi instead of making real science. Pay attention in math class is my motto. Girls can wait. Here's a list of potential actors that were unofficially cast by the staff of WIZARD magazine way back in the spring/summer 2007 MEGA MOVIE issue for the latest Star Trek movie. Matt Damon or Chris Pine? Zachary Quinto was a dead-ringer. Thandie Newton or ZoÃ« Saldana? I would've preferred Ms. Saldana instead. Kevin Connolly or Karl Urban? Are you kidding?! Billy Boyd or Simon Pegg? 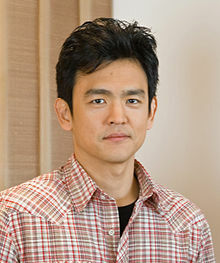 No question... John Cho was not a Hard Choice at all! ... I have a distant memory of an issue of Wizard going back even further, where they 're-envisioned' Star Trek.. I think Holly Robinson-Peete got the nod for Uhura.. I totally forget everyone else..
---on Saturday mornings for kids waay-y-y-y back in 1973 but the reality is that the subject matter was a little too advanced for kids and was secretly slipped in for young adults. "My name is James Tiberius Kirk!" The detail of the middle name comes directly from one of the episodes of the cartoon or when kid spock is being bullied by a gang o' other kid vulcans, guess what...? It's another reference from the animated show! 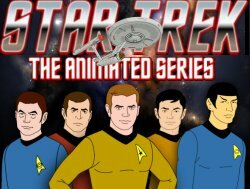 All of the episodes are done well and so far, the episode that caught my eye on the 1st disc is 'The Lorelei Signal' where Lt. Uhura assembles a security team of starfleet females to rescue Kirk's incapacitated away team on a planet of blond-haired, blue eyed white women. Lt. Uhura: "I am the senior lieutenant here and I am taking charge of the ship!"